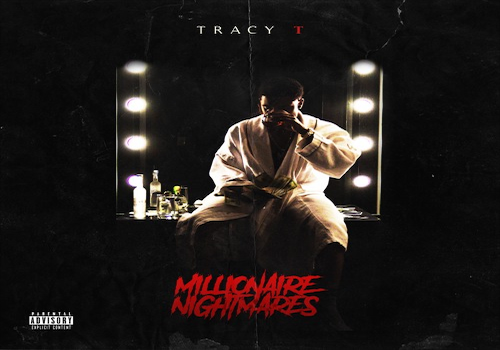 Tracy T just dropped "Shinin' Like My Rollie," feat Dej Loaf off his upcoming album Millionaire Nightmares. Dropping tomorrow, the album features Tory Lanes, Rick Ross, Pusha T , Dej Loaf, and SYPH. Produced by Zaytoven, "Shinin' Like My Rollie" might already be a hit. Sinister and steadily getting stuck in heads worldwide, Tracy T might have the flow he needs to fill stadiums someday. DeJ Loaf's humming and ad-libs help Tracy T navigate the beat, like a flashlight in a cave. She snaps on her own verse as expected, taking the team to a new level in the elevator.